We often forget about the land between the river and the freight train tracks that encompass almost half of La Alma/ Lincoln Park. After the destruction from the flood of 1965, industrial use and vacant lots prevailed across the tracks. Now we can look forward to a useful and attractive new neighbor from the north. 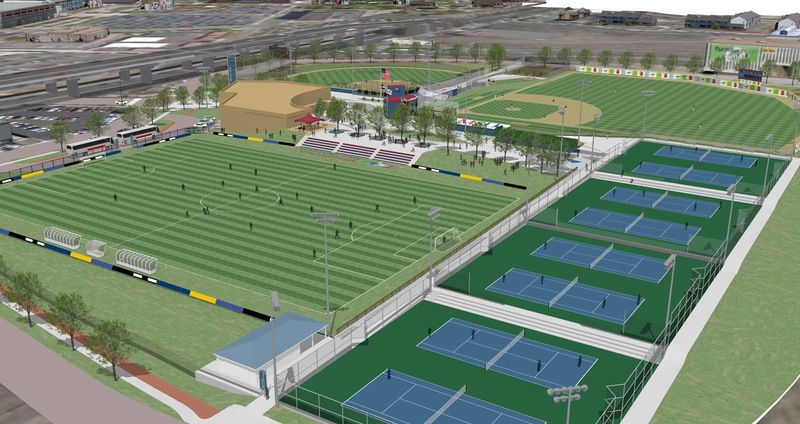 Metro State University has begun constructing their new athletic field and tennis facility on a vacant parcel that connects to campus from under the Colfax viaduct that serves as our neighborhood’s northern border. Though this idea has been percolating for a while now, I recently noticed that some type of construction had begun while driving in from the West on Colfax. I took the picture above from Rio Ct. today looking west. It appears the new tennis courts are taking shape. Years ago, there were homes that resembled those from this side of the tracks, all the way to the river, (I hope to learn more of Jerome Park and the families that once lived there for a future post). It may always have been a bit more industrial in character (also look for future posts on Denver Water and Neef Bros. Brewery), but that is largely due to our connection to Denver’s first neighborhood, Auraria, as well as proximity to the RR network that helped make Denver the metropolis it is today. 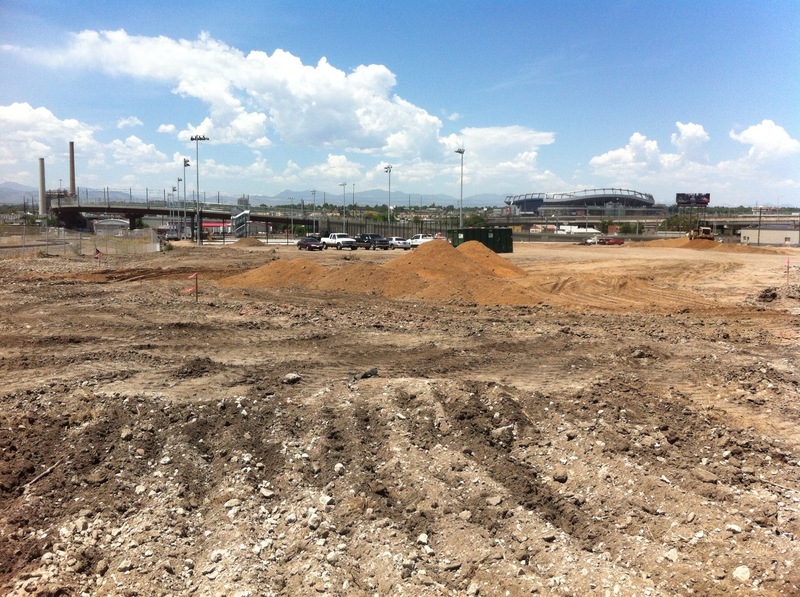 While the Auraria neighborhood was condemned after the flood to build the new campus, and many of it’s largely Latino residents moved south to Lincoln Park, a promise to never cross Colfax Avenue was made. It was feared that Lincoln Park could suffer a similar fate as Auraria, and that condemnation could force people from their homes once again. Today, after the W Line now flys over the still vacant and under-utilized lot, it appears that athletic fields are a pretty reasonable use for the space, and no one really objects to Metro’s plan. I look forward to seeing the project proceed, and hope that we will soon see better pedestrian and bicycle access along 13th, which would help us reclaim our connection to the Platte riverfront. The plan does include a surrounding walking path, and commitment to sponsor community athletic use. I believe will be an asset to our community. We should already appreciate Metro’s Center for Visual Art’s relocation from LODO to the Santa Fe Art District, as they bring much valued energy to our Art Walk. Additionally, I would also like to champion the idea that stronger connections between educational institutions and industrial areas could lead to greater economic development and more good jobs for our community. Click on the picture above to link to the Metro website for larger image and more renderings.